After finishing fifth in the Olympic road race in his first Olympic appearance in Rio, Katusha’s Spanish rider Joaquim Rodríguez confirmed that he would retire immediately, rather than continuing to the end of the year. 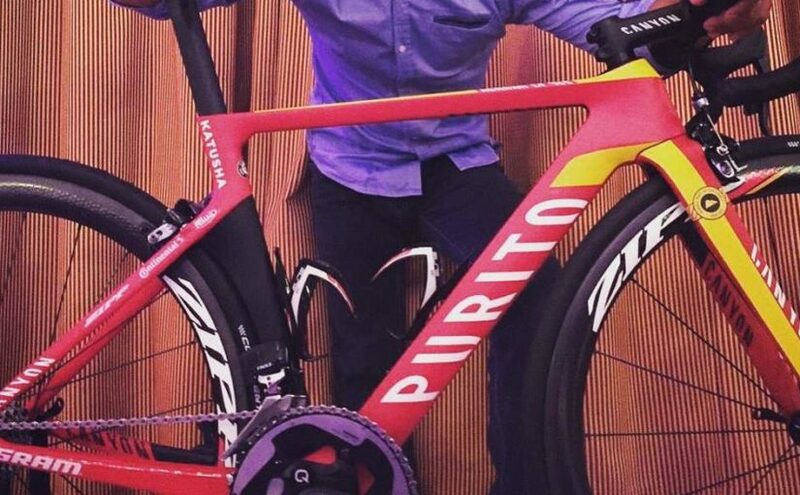 Canyon, the bike supplier of the Russian team produced a special “Purito” canyon bike for him. 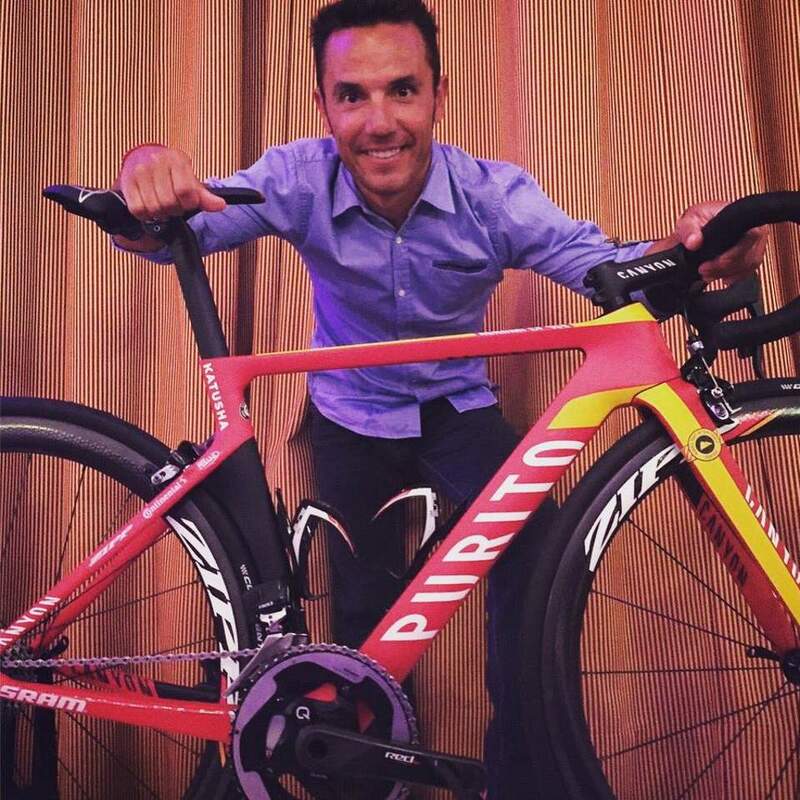 Born on 12 May 1979, Joaquim “Purito” Rodríguez competed from 2001 to 2016, and last rode for the UCI WorldTeam Team Katusha. His notable results in Grand Tours include fourteen stage victories, second place overall in the 2012 Giro d’Italia, finishing 2nd overall in the 2015 Vuelta a España, third place in the general classification of the Vuelta a España in both 2010 and 2012 and third place in the 2013 Tour de France. He also finished first of the UCI world rankings in 2010, 2012 and 2013, and won classics such as the Flèche Wallonne and the Il Lombardia (formerly known as Giro di Lombardia) twice (2012 and 2013). He also won stage races including the Volta a Catalunya twice (2010 and 2014), the 2015 Tour of the Basque Country and the 2011 Vuelta a Burgos. His nickname, Purito, Spanish for little cigar, was given in an early season training camp during his first year as a professional with ONCE–Eroski. When some of his teammates stepped up the pace on a small climb, he passed them making a hand gesture appearing to be smoking a cigar, suggesting he was climbing without much effort. The gesture was not welcomed by his teammates, who made him smoke a real cigar as a hazing ritual later in the evening.